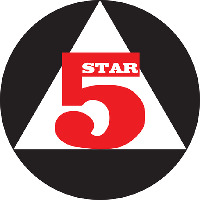 Five Star, a five-piece British dance pop group inspired by funky soul, is internationally famous for a run of success in the 80s. They released three platinum selling albums from 1985 to 1987. Their flashy, self-made costumes and energetic dance routines appealed well to the surging new wave movement. Five Star are siblings Deniece (later to be called &apos;Denise&apos;) Pearson (lead vocals/song writer), Stedman Pearson (costume designer), Lorraine Pearson (spokesperson & song writer), Doris Pearson (choregrapher) and Delroy Pearson (song writer & producer). Born in Romford Essex to record owner Buster Pearson, Deniece, at the age of 15, persuaded, her father to allow Deniece and her sisters to record "Problematic". The Pearson parents liked what they heard but also insisted that Deniece&apos;s brothers joined the group. Hence, Five Star was born. Do you promote/manage Five Star? Login to our free Promotion Centre to update these details.